Anya has never been one for the spotlight, but her family seems to now be front and center, and the talk of the town in Underlayes. In the aftermath of her mother’s death, the discovery of said mother’s deceit, and Anya’s half sister getting ready to challenge her own father for the witches throne, keeping a low profile may prove to be difficult. Add in the fact that she’s pregnant, by her female mate, and it may turn out to be impossible. Jump right back into the world of Underlayes where this magical family takes dysfuction to brand new heights. breasts. It meant I was finally home. the one our mother had decided to let go. with this woman for their entire lives, none the wiser that I had even existed. emotions dominating for control inside of me. being as close to one another as possible. wrapped firmly around Kierra’s waist. And we made love, as male and female. 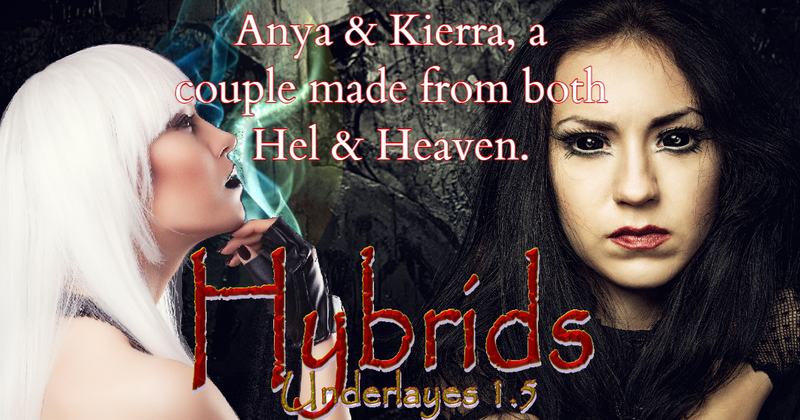 Kierra began to thrust, rubbing and hitting against my walls at a perfect pace. pulse point that seemed to be calling out to me. ready to let reality back in. Previous Post New Releases you don’t want to miss! Next Post Who Doesn’t Love a Bad Boy!